Rimmel Lash Accelerator Serum Review: Does It Work? On the hunt for a super affordable eyelash growth serum? All roads lead to the Rimmel Lash Accelerator Serum. At less than $8 a bottle, it’s one of the cheapest lash serums you can get your hands lashes on. Plus, it comes in a generous-sized tube that’ll last you awhile. But does it work? Read on for a full, in-depth review! Okay, the Rimmel eyelash serum has one huge perk going for it: it’s less than $10. 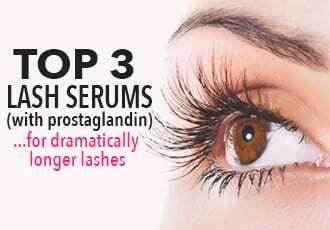 And considering that a lash serum is something you’ll be using every single day, every single month – price matters. After all, who wants to fork over $40 for a lash serum every month when you can get one at the fraction of the price? No one, that’s who. 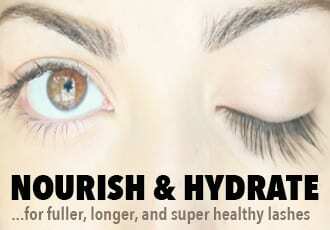 Which is why we definitely understand the allure of this lash serum. It promises longer, thicker lashes at such an affordable cost. But that’s sort of where the love affair ends. For starters, this is not a gentle eyelash serum. The serum itself is runny, making it prone to drip into the eyes and cause unnecessary stinging and burning. Plus, it can irritate both your eyes and delicate eyelid skin, causing redness and even swelling. Not fun. Overall, if you have sensitive eyes or skin, this is not a match for you. But what if you have fairly sturdy eyes and can tolerate the potential burn? Will the Rimmel eyelash serum work for you? In terms of adding actual length to your lashes – the Rimmel eyelash serum doesn’t really work. Here’s the thing – this serum actually shows subtle results fairly quickly, with your lashes looking like they might be a tad longer within a week or so but it never goes beyond that, even if you use it for a full month. It’s the same sort of trickiness when it comes to adding thickness to your lashes. We suspect it’s because this serum creates a sort of silicon-like base on your lashes (which is why some people like it as a mascara primer – more on this later), which builds up and causes your lashes to feel and look thicker and fuller. But this isn’t real thickness that’s being created – it’ll wash right off with an effective eye makeup remover, leaving you back at square one with your natural lashes being no thicker or longer. So if you’re looking for actual length thickness, skip this one and go straight for one of the best eyelash serums. The one arena in which the Rimmel lash accelerator serum might be worth it is when it comes to sparse and bald patches. Since Rimmel’s serum contains some lash strengthening and conditioning ingredients like Panthenol, Biotin and even natural oils, it can provide the nourishment and moisture to help lashes grow back faster and healthier. To be honest, though, if you have sparse, fragile lashes or bald spots – we’d recommend opting for a Biotin supplement instead of going through the daily trouble of applying this potentially irritating lash serum to your eyes. A good daily Biotin supplement works just as well, if not better, and has an effect on growing thicker, healthier hair overall – not just on your lashes. As for whether Rimmel lash serum makes a good mascara primer – it’s really hit or miss. We personally didn’t love it since it goes on a bit like glue and then flakes off after awhile. 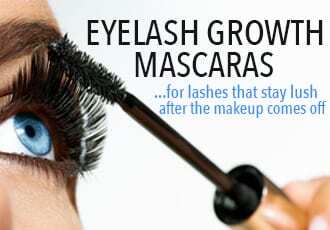 But some people seem to love the thickening and lengthening effect it provides when worn under mascara. Different strokes, right? Overall, we weren’t impressed with the Rimmel Lash Accelerator Serum but it does still have some positive reviews by people who have seen good results with it and at less than $10 per bottle – it is worth a try if you’d like to see if it can work for you!